What Are These Vines Growing In My Zoysia Grass:? If you have a Zoysia lawn this is what you want to see! These vines are called stolons. Please do not cut or pull them out! This is one of the ways this type of grass spreads and fills in. The stolon, often called a “runner”, is growing from the main plant. About every inch on the runner there is a small cluster. These clusters will eventually take a roothold and start to produce another plant. 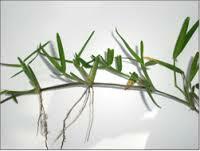 When the stolons finally come into contact with other stolons they will fill in the lawn making the grass thicker and fuller. If the runners start to invade an area you do not want grass, such as, trying to grow over your sidewalk, driveway or in your flower bed, then you would need to trim or cut them. The cut stolon can even be replant in other areas you may want to add more grass too. Be sure the soil is loosened when replanting the runners and the little clusters are making contact with the soil. The runner will eventually take a roothold and start forming new plants. What is soil pH? What are the numbers about? What does it do? Most of us do not realize the importance of the proper soil pH or what it is. The soil pH is the acidity level of your soil, which allows your plants to take up the necessary nutrients from the soil. The level has a tremendous impact on the overall health of your plants, it also helps fertilizers and pesticides to be more effective. Poor pH whether it is too high or too low can make your grass week, susceptible to disease problems and be a light green or yellow in color. Every type of soil has a pH level. There are several factors that help determine what your soil pH is, such as your region, the type of parent material your soil is, such as clay, sand, organic matter, etc. The age of the soil, the amount of precipitation and temperatures are also main factors. How do I know what my soil pH is? Do I need to change it? How do I adjust it? Follow our blog for information in our next article on how to test and adjust your soil pH. It is not hard to do! A unique advantage of maintaining a Zoysia lawn is that the grass plugs grow with a deep and thick root structure. This root system allows Zoysia to grow in thick and plush with a carpet-like grass that feels great on bare feet. – Allows the roots to more effectively extract water from deeper soil, reducing your needs to water your Zoysia lawn. – Amazoy plugs make it easy to plant the grass on steep areas and slopes. – Since Zoysia grows so thick with deep roots, it crowds out weeds and crab grasses so they are unable to germinate. – Thick roots work to replace unwanted existing grasses in the lawn. – Zoysia is able to grow in all types of dense clay soils because the strong roots are strong enough to penetrate the ground and create air passages allowing root development. – Once the root system is fully established (reaching about 2 feet), the thickness of the turf will work to reduce slope erosion. For more information about Zoysia’s root system read about the low maintenance needs of your Zoysia lawn, and the process of Zoysia plug growth. Amazoy Zoysia is known to grow in virtually any soil: clay, salty, sandy, and even rocky soils. So no matter what kind of soil is under your grass, it is pretty likely that zoysia will grow. But any grass can do with a little nourishment. If you are looking to speed up the process of plug establishment, fertilizer is a great place to start. If you do decide that fertilizer is for you, one very important rule is be sure to NOT use granular fertilizers. These can be hazardous to your plugs and can destroy an established zoysia lawn. 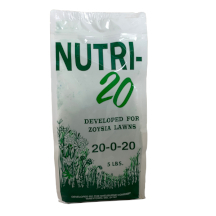 Using a water-soluble fertilizer, like Nutri-20, is the way to go. These types are better suited for zoysia grass and will help nourish them in the right ways. You can even use it for your garden; water-soluble fertilizers do wonders for vegetables, flowers, and shrubs, too. Once you have ordered and received your Amazoy Zoysia grass plugs, your next step is actual planting. And with over five decades of experience in harvesting, packaging, delivery, and planting, we have this planting process down to a science. Before you begin planting, there are a few things to think about. First, be sure it is the right time of year for you to plant. Zoysia can be planted throughout the spring, summer, and fall, but check out our map to see when is the premium season for your region. Next, you must finish separating the plugs with shears. This is because in our attempt to ensure maximum freshness for you, the plugs are not cut entirely through before shipment. Finally, you must have a planting plan. Using our example diagram, plan where you are going to place your zoysia plugs. Holes should be made no more than a foot apart. If you want your new lawn to fill in more quickly, you can plant your plugs closer together (half a foot apart). When you are finally ready to put the plugs into the ground, consult the planting instructions that come with each order. But just in case you misplace them, you can follow the steps below. 1. Mow your existing lawn as low as possible. 2. Ensure that your ground is workable and moist enough for planting. 3. Once you have determined a starting point, insert the plugger into the ground to remove established grass. You can also drill a hole, depending on the tool you are using. Now you will have a hole for your plugs. 4. Put the zoysia plug in the hole you just created, filling in around the edges with loose soil. Make sure to only bury the roots, as the living plant needs sunlight to grow. 5. Lightly compress the plug into the ground with the heel of your foot or hand. Keeping your lawn maintained and looking great starts with knowing what is underneath it: soil. You might think “dirt is dirt”, but in fact, soil can have quite the range. 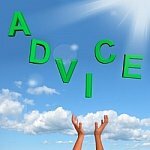 Being knowledgeable of what kind of soil you have in your yard will help you make the right choices for your lawn. 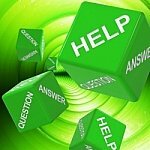 There are a few things you should be considering when thinking about soil and lawn care maintenance. First, you should test your soil. Knowing what kind of soil you’ve got will help you know what nutrients you need. You can test your soil using a pH meter or a soil test kit. Your pH meter will tell you the pH of your soil, which will range from 3 to 10 on the pH scale (see below). A 7 on the scale marks neutrality; any soil above that is considered basic or alkaline, while anything below is considered acidic. Most good soils will range from 5-7. After finding out the pH of your soil, you should grab a handful of your soil to discover the texture and type. If your handful of soil holds shape, it is clay-like. If it doesn’t it will be more sandy. Clay like soil has a few advantages. It holds moisture and nutrients well, which means less time watering and less money spent on fertilizers. Despite this, there are a few disadvantages. Clay like soil has poor drainage, allowing it to become oversaturated and deprive plants from the oxygen it needs. It can also warm slowly in spring, shortening the planting season. When it does dry, it can crust or crack, causing plant roots to tear. Sandy soil has advantages. It drains easily and quickly, allowing for oxygen. It also is easily worked, and warms quickly in spring, allowing for quick planting. Despite these things, it also tends to have a low capacity for holding both moisture, needing more water and fertilizer. It is also subject to erosion. An ideal soil is something in between sandy and clay like. To read more about soil types, click here. If you’ve got clay like or sandy soil, there are a few things you can do to alter it to your needs. Add a generous amount of organic matter, like compost, manure, or peat moss. Spread a layer, between 3 or 4 inches thick, over your existing soil. Then thoroughly incorporate it into your existing soil. Be sure to do this, because just adding a layer on top won’t help. Remember, do add organic matter in moderation. Too much can be harmful and toxic to your lawn. Luckily, zoysia can grow in a variety of soils. But it is always best to alter your soil before planting plugs. It will help encourage your zoysia lawn establish and grow hearty and lush. Traffic on Your Lawn: Let the Kids Play Away! 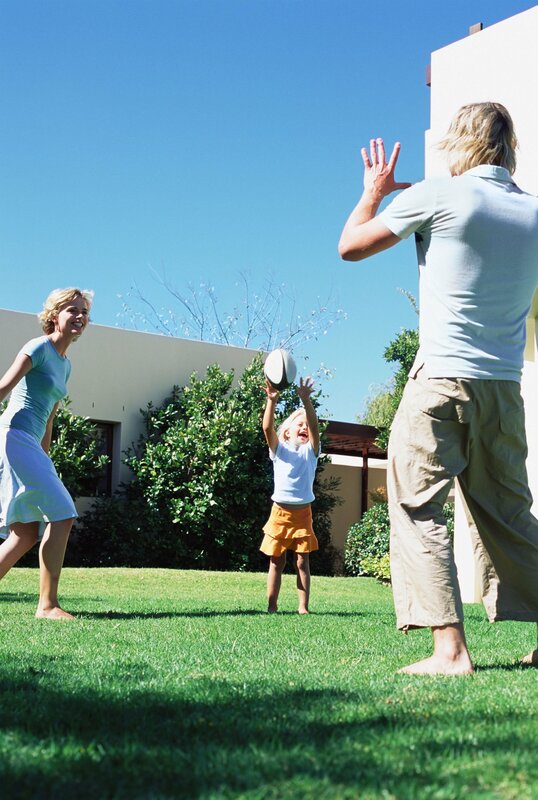 Are you worried about keeping your lawn looking nice, even after your kids play on it or your pets run through it? Well, with zoysia, you don’t really need to worry. Zoysia’s tolerance to heavy traffic is one of its many strengths. The soft grass that grows from the plugs is a resulting hardy, thick, and durable lawn. And because you don’t have to use chemicals on your lawn, it is completely safe for your children and pets. Even more so, once the plugs are established, you don’t need to worry about your kids’ or pets’ outdoor habits ruining your lawn. Zoysia’s durability makes for a strong grass that is resilient against heavy traffic. The only time you may want to keep the kids and pets off the lawn is when you are first planting Zoysia plugs. This will help ensure that the plugs establish and are given the chance to grow. But once the roots have taken hold and the grass plugs have become established, feel free to let the kids and pets play. Why is My Zoysia Grass Brown? After the first hard frost, you may be wondering why your grass has started to turn a tawny-brown tone. You don’t need to worry! 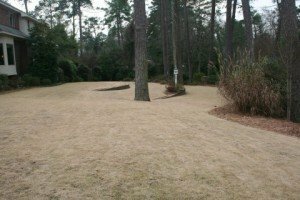 Zoysia grass, like a deciduous tree, goes dormant after the first hard frost, when cold weather is moving in. The lush green color will fade. In fact, most grasses have the tendency to go dormant at some point in the year. Winter causes dormancy for zoysia grass because it is categorized as a “warm season” grass. Cool season grasses are the opposite, and can go dormant in warm summer month, just when most people want to enjoy their lawn. 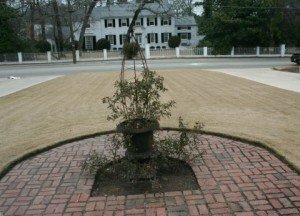 These photos, found at Gardens Gardens blog, show exactly what zoysia dormancy looks like. This is healthy, and a part of the grass’ process. Zoysia’s ability to go dormant in winter helps it withstand colder temperatures, while still allowing it to come back lush every spring and remain green even in the full heat of summer. In fact, some of you may not experience this dormancy at all. If you live in a region with mild winters, your lawn will remain lush and green all year round. But if you do experience dormancy, there is no need to worry, once winter is over, your grass will be back in no time at all, without any effort needed from you. Click here to see more pictures of dormant zoysia grass. One of the great things about our Amazoy Zoysia grass plugs is that they grow in a multitude of growing regions and climates. The plugs can survive through an array of conditions: heat, cold, drought, and rain. Because of this, we ship our grass plugs throughout the continental United States, with the exception of Washington and Oregon (our years of experience with grass plugs shows that the conditions there are not conducive to the successful growth of Amazoy Zoysia) Zoysia loves hot and dry weather, which contributes to the reason why Zoysia can stay green, even in the hottest of summers. 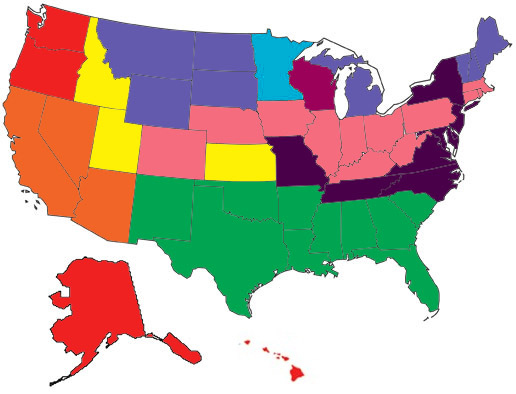 Because of the variety of terrain and temperaments of our country, certain states and regions have different growing seasons, as seen in the map below. So depending on your location, your shipment of plugs will arrive to you when it is best to plant them. We also take weather and field conditions into consideration, so if you are having weather that will inhibit the successful growth of Zoysia, we will wait until better weather arrives to send them to you. Conditions on our farm can affect shipment, too; if our farms are too wet, we are unable to harvest. Mother Nature holds influence over when shipment occurs. 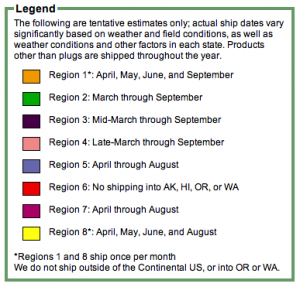 To see your region’s optimal planting season or when your plugs will ship to you, check out our map here or below.